From the home office: "Prelude to DPC is a limited series, shipping weekly in March. It tees up the new ongoing series, DPC." 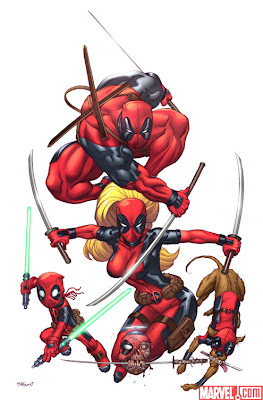 It does not appear any other Deadpool ongoings have been cancelled for this, since Deadpool, Deadpool: Merc With A Mouth, and Deadpool Team-Up all also have issues released in April.